Neymar, may face up to six years in prison over irregularities surrounding his move to Barcelona in 2013. This statement was made by a Spanish magistrate leading an investigation into allegation of the move. The Judge noted that the decree issued by Neymar, his parents, Barcelona president Josep Maria Bartomeu and his predecessor Sandro Rosell are all awaiting trial over alleged corruption concerning Neymar’s move to the Spanish La Liga giants in 2013. Recall that the Brazilian international forward is now with Paris Saint-Germain in France’s Ligue 1. 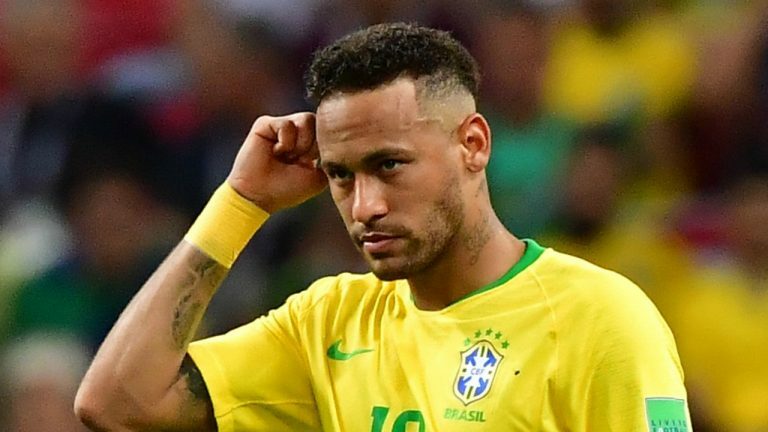 The case was filed by by DIS, a Brazilian group which part-owned the rights to Neymar, alleged “corruption” and “fraud” in the player’s move to Barcelonain May 2013 for a reported fee of 57.1m euros. It was gathered that no financial details of the deal were revealed by either Barcelona or his Brazilian club FC Santos, but Neymar’s parents were said to have received receive 40m euros and FC Santos 17.1m. Meanwhile, in January 2014, prosecutors in Madrid began investigating the transfer because documents requested by the authorities contained contradictory information also Rosell resigned from his post as president a week later and Barcelona subsequently revealed they had actually paid 86.2m euros for the Brazilian star. DIS, who received 6m euros of the 17.1m given to FC Santos, had alleged that Barcelona and the Brazilian club colluded to mask the true cost of the Neymar deal. By this development, Bartomeu, Rosell, Barcelona, FC Santos and its former president, Odilio Rodrigues Filho, are now expected to answer charges of fraud. The decree noted that because the prison term involved exceeds five years, three judges are set to preside over Neymar’s trial. The trial is expected to be heard at the Audiencia Nacional, a high court with jurisdiction over Spanish territory as well as over international crimes which come under the jurisdiction of Spanish courts.